Hydrogels are three-dimensional networks composed of hydrophilic homopolymers or copolymers, able to swell in water. 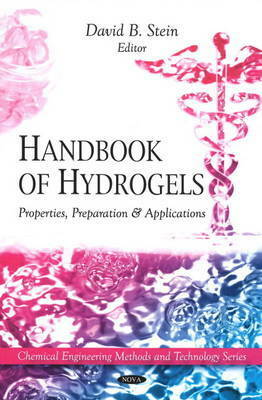 Due to their high water content and rubbery consistency, similar to natural tissue, as well as their biocompatability, hydrogels derived from synthetic or natural materials are used in clinical and experimental medicine for a wide range of applications, including tissue engineering and regenerative medicine (surgical sutures, artificial organs, soft tissue prostheses, soft contact lenses), membranes for biosensors, cellular immobilization, separation of biomolecules or cells (hemodialysis membranes), barrier materials to regulate biological adhesions, and drug delivery systems. Advanced drug delivery systems offer potential advantages by affording both a kinetic control by maintenance of a drug level in the therapeutically desired range and a special control by targeted delivery allowing reduction of systemic side effects. This new important book gathers the latest research from around the globe in this dynamic field.